Service & repair organisations, or those with service and repair divisions need service management software solutions to efficiently manage their jobs. While it’s possible to sometimes achieve basic servicing requirements with standard financial software, more advanced solutions are required to address the specific needs of the service industry. If you are an organisation that needs to manage the servicing or repair of customer or company assets, either from a workshop environment or in the field, then we understand the key elements that you need in a solution. The maintenance of your own machinery and company assets is an important part of your business. Stay on top of this by setting up maintenance schedules to notify you when they are due. Whether, it is for compliance reasons, or just to ensure your machinery is in tip top shape, the service management software allows you to track service costs so you can understand the true cost of the asset over it’s lifetime. The software enables you to track service history against customer assets. With our service management software, you can schedule maintenance jobs and even automate the notification of customers when they fall due. You can also set up templates with predefined tasks and parts and labour components for different types of service jobs. This helps to reduce the time taken to create jobs and ensure that critical processes are completed. Our service management software solutions allow you to schedule jobs with ease and efficiency. With visual calendars and dashboards, you can quickly see what jobs are in progress and what jobs are coming up in the future. 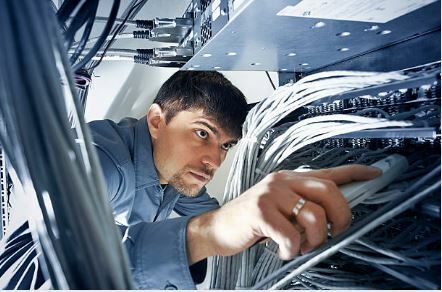 Technicians can easily view what jobs they are working. With integration to Google Maps, your technicians not only know the details of the job, but also where they need to go. The ability to have service templates for standard service jobs helps reduce administration and streamline activities. Once the jobs have been created and dispatched to the technicians, they can easily add parts, labour and notes to the job cards. These job cards have all been generated with predefined rates and hours which helps to simplify and speed up the billing process. Easily quote on adhoc jobs, through the use of job templates and even copy previous service job cards as the basis of your quote. Being able to quickly raise purchase orders for parts that are required for jobs helps streamline operations and reduce errors. When the purchase orders are received, the stock is automatically allocated to that job. Technicians can receive the jobs on their mobile devices, allocate parts, labour and enter notes on what tasks were performed and immediately send that information back to base. Mobile access for service technicians is imperative to reducing double handling of data and improving efficiency and allowing invoices to be raised without delay. There are many layers of reporting available with our service management software solutions. You can see job profit, customer profit, through a range of reports and dashboard analytics. Slice and dice your data into any view to provide both in house and customer facing reports. We have worked with many businesses across a broad range of service industries. We are happy to share our experiences with you and provide a service management software solution to meet your business needs.